Tell us about the services of your firm and how it differs from other organizations. 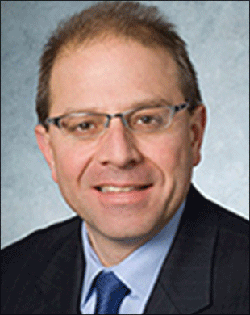 Klingenstein, Fields & Co., L.L.C (“KF&Co.”) is a New York-based Registered Investment Advisor managing over $4 billion for private and institutional investors. We are employee owned and remain committed to making sound investment decisions for our clients. We invest primarily in equities and have assembled an exceptional investment team over the years. Today, we have 13 portfolio managers and 4 dedicated research analysts, all of whom have broad and deep relevant experience. Low portfolio turnover is a testament to the quality of our investment team’s efforts. The investment services that we offer consist of separately managed portfolios that have been customized to satisfy our clients’ needs for cash flow and long-term growth of capital. We have two performance composites. The Wealth Management Composite consists of portfolios that are invested primarily in mid to large cap/blue-chip domestic companies and we have a Global Value Strategy which also tends to invest in larger companies but can circle the world in pursuit of attractively priced investment opportunities. What is the history behind KF&Co.? Klingenstein, Fields & Co. was formed in 1989 by Frederick A. Klingenstein and Kenneth H. Fields, who worked together at Wertheim & Co. Fred Klingenstein joined Wertheim in 1956 and was the second generation of his family to run the storied investment bank and asset management company. Ken Fields came onboard in 1970 as a portfolio manager at Wertheim & Co. and later became the head of the Individual Capital Management Division. In 1986, Wertheim & Co. was sold to Schroders plc. Three years later, Fred and Ken both left the Individual Capital Management Division to found KF&Co. The initial goal of KF&Co. was to provide high-touch investment advisory services to private investors. Over time, the firm’s asset base and personnel grew to the point where the principals thought it would make sense to develop a more formalized internal research capability. They were also very interested in having an ability to invest globally. Therefore, in 2006 they hired me from Tocqueville Asset Management, where I was the Deputy Director of Research and Senior Equity Analyst responsible for all European equity investments, to build a research team that had scope beyond U.S. borders. 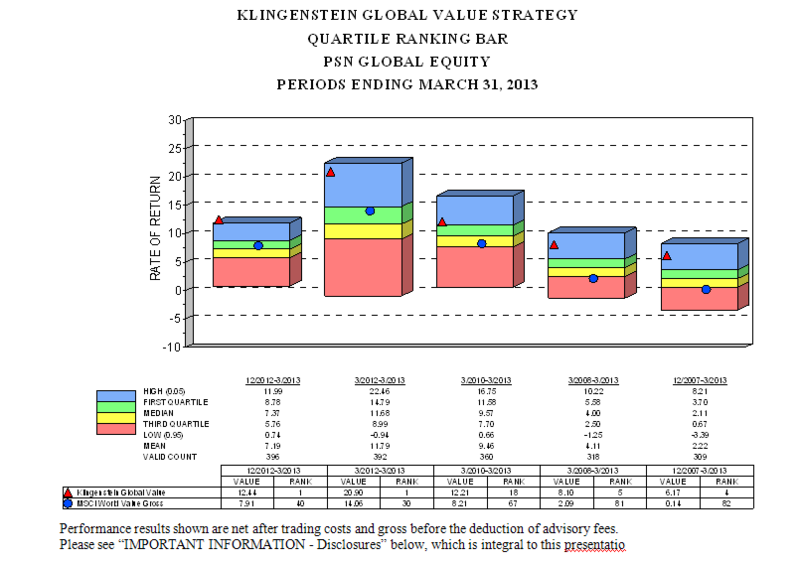 In 2008, we began to manage the Klingenstein Fields Global Value Strategy, which I will focus on for the remainder of our discussion. Please explain your investment philosophy. For the Global Value Strategy, we believe that valuation discipline is a key ingredient to successful investment outcomes. As a result, we search across the globe for companies that appear out of favor, with significant earnings prospects that we believe are selling at major discounts, 30-50% in many cases, to intrinsic value. Tell us about your investment process. Our investment process is labor intensive with rigid parameters on valuation. We try to identify situations where other investors have overreacted or panicked. This gives us an opportunity to buy the shares of businesses that would otherwise be considered cash generating machines at very attractive prices - that we believe have limited incremental downside risk. Simply put, we are on the lookout for broken stocks - not broken businesses. To find these opportunities, we run a series of weekly screens, across global markets, that highlight companies trading at multi-year lows and businesses that are available at low multiples to earnings (P/E < 10X) and cash flow (EV/EBITDA < 8x). We eliminate financially weak companies and insist that our new idea list only contain businesses with minimal debt service (EBITDA/interest expense > 5x) and strong free cash flow (FCF yield > 7%). Initial positions are taken once we have satisfied ourselves that we are in an informed position and that the company makes sense vis-à-vis the other holdings in the portfolio. We will initiate a position if shares can be purchased at a 30-40% discount to its intrinsic or private market value and we feel that it has 50-100% upside potential over a 3-5 year period. We make use of price targets and positions are sized, based upon their proximity to intrinsic value e.g. the lower the share price from our target the greater the position weighting. We expect annual turnover to be in the range of 60-70%. Many of our holdings also pay dividends. When would you sell a stock? Positions are sold in an effort to manage valuation risk or when fundamentals deteriorate. Keep in mind; we initially purchase small/starter positions at approximately 1.5% of a client portfolio. If a new holding falls in price we typically purchase more of the stock to increase our weighting, provided that neither its fundamentals, nor our thesis, have changed. Eventually a full position would be ~3.5% of a portfolio’s assets. If the company performs well and its share price appreciates, we will begin to trim when our position becomes a 6-7% weighting. This helps us to prevent one position from having too great of an impact on the portfolio’s overall returns and also forces us to manage down valuation exposure as the cash will generally be redeployed into a lower P/E stock. In the same vein, we will sell positions if Wall Street becomes euphoric regarding the company’s prospects and the valuation can no longer be justified. We will also sell when a company’s shares reach our price target. From a fundamental perspective, we will sell a stock if management fails to execute within 12-18 months usually having reduced our weighting well before then to avoid a “value trap” e.g. a cheap stock whose price continues to decline. We also sell when industry conditions become inhospitable or when a company’s fundamentals begin to unravel. The imperative in these situations is to make sure that we are knowledgeable about the business that we are exposed to and that the company is moving toward its projected goals. How are your research efforts organized? Our process is very collaborative. We have four people dedicated to bottom-up/fundamental research work on companies, in addition to the analysis being conducted by our 13 portfolio managers. Our investment committee (portfolio managers and analysts) meets twice a week to discuss current events and how they relate to our positions, as well as the various holdings themselves. Even though I’m in constant discussions with the team throughout the day, we hold a formal weekly analyst meeting to go over new ideas. A key part of our investment process is meeting with management teams and we often visit with and/or have conference calls with two different companies per day. When we find companies that appear to be a good fit for our strategy, we begin a rigorous due diligence process. This involves meeting with the prospective company’s senior management, studying regulatory filings, developing projections for free cash flow and earnings growth, and making assumptions on intrinsic value. In addition, we perform a SWOT analysis (strengths/weaknesses/opportunities/threats) to measure the long-term risk/reward of the company; while constantly assessing the business model and testing our initial thesis. In the final analysis, we are doing our utmost to find companies where there is a major discrepancy between the current share price and the intrinsic value and/or long term earnings power of the company. Therefore a lot of work is done to determine the approximate intrinsic value of the company. To do this we look at both public and private markets for any related merger and acquisition comparisons. Oftentimes this is easier to do with manufacturing companies whose assets are typically easier to identify and value. Hence, we generally have more investments in this part of the market. We also do our own earnings and cash flow modeling to get a better handle on longer-term financial opportunities that will be available to management and shareholders. All of these models and internal reports are stored in our research files which are quite substantial. Do you incorporate any top-down or macro viewpoints into your approach? Yes and no. For the Global Value Strategy – I buy stocks, not markets but we do concern ourselves with geopolitics, central bank policies and country specific fiscal programs. Over the years, I have found that investment results are greatly improved by not paying up to own businesses that have meaningful long-term cash flow growth prospects. I try to not get distracted by the shorter-term market fluctuations and have no edge as it relates to predicting whether the next market move (U.S. or overseas) is going to be up or down. What advantage do you see to long-term versus short-term investing? The main advantage that accrues to long-term investors is time. History supports the idea that over the long haul, the standard of living improves and share prices rise. When you find an attractively priced asset with good earnings potential, chances are it will become more valuable in the future. In the short run, anything can happen. An ideal situation is to buy the shares of a company that is under short-term duress and value it under a normalized earnings scenario that will take a longer period of time to develop. Buying during a period of short-term weakness is a hallmark of many successful investment outcomes. I’m glad you asked. The Global Value Strategy is managed in an effort to circumvent that question and is ideally structured for investors that need equity exposure, yet are petrified by stock markets that have recently been forging new highs. By limiting our exposure to companies that are trading at major discounts to their long-term earnings power, the portfolio’s valuation profile is typically much lower than the averages and therefore less susceptible to downside volatility. For example, at the moment, the average holding in the portfolio is selling at a ~35% discount to our internal estimates for intrinsic value. When a company approaches its target price the position is reduced and we buy more attractively priced companies. This goes a long way toward helping investors worry less about whether or not today is the right time to invest. What advantages are there to KF&Co. being global investors? Being a global investor provides us with two distinct advantages: protection against stock price correlation in any one market and a much wider opportunity set to find deep value/contrarian investment opportunities. As we’ve seen over the last 5 years, owning a diversified portfolio of stocks within a single market, let’s say the U.S. for example, was not the panacea that it once was when it came to reducing volatility. In a “risk-on”, “risk-off” investment climate, share price correlations climb making the argument of quality almost irrelevant. Being able to own shares around the world provides a higher level of diversification and should dampen the ill effects of market volatility over the long run. In addition, a global vantage means we are unconstrained when it comes to seeking value. Therefore, if a particular market has become out of favor we can potentially use it to our advantage by finding lower valuation companies to reduce portfolio risk. How long have you been investing globally? I have been a global investor my entire career, approximately 26 years, and have been lucky enough to work alongside some of the pioneers in this field. I started investing at Lexington Global Asset Management in 1987. I was taught the ins-and-outs of overseas investing by Caesar Bryan who went on to become a standout portfolio manager for Mario Gabelli and is currently the head of the GAMCO International Growth Fund. In 1995, I joined Lepercq de Neufliez & Co. to work with Paul Lepercq, a leader in the world of international investing whose expertise was sought after by some of the top families and business leaders in the world. While at Lepercq I managed the top-performing Ontario International Fund. Lepercq was eventually merged into Tocqueville Asset Management where I had the opportunity to collaborate with Francois Sicart, who was an extremely accomplished contrarian investor. Therefore, I have learned the nuances of global investing from some very seasoned professionals. 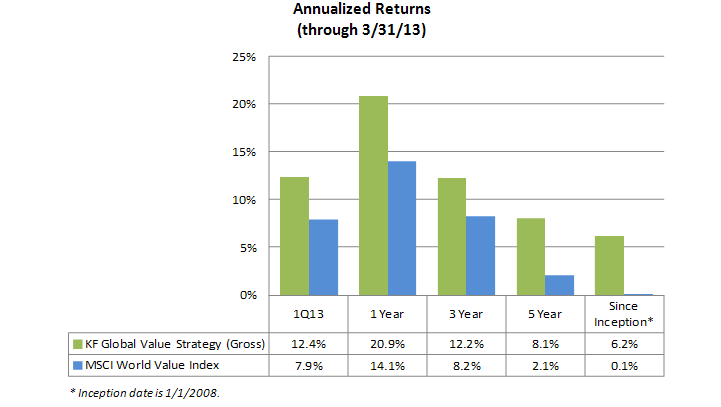 Along the way, I have developed a passion for deep value/contrarian investing. I have also figured out how to deal with the idiosyncrasies that one needs to be aware of in individual markets. For example, how accounting standards differ, which brokers have good execution capabilities and most importantly a cadre of field level contacts that are based in local markets. What about your experience in Asia? I have been investing in Pacific Rim countries since 1996 when I ran the Lepercq Ontario International Fund. This is a fascinating part of the world that should be ripe with opportunity for years to come. We take Asia very seriously. About 4 years ago, we developed a joint venture with a firm that has a Hong Kong-based research team of 5 analysts that help us conduct due diligence from afar. This special arrangement helps us navigate through many of the complexities that are involved with making informed decisions in this part of the world. It looks like the US and Asia markets have done better than the European markets. Have you been able to avoid the underperformance of Europe by concentrating on Asia? Largely, yes…we have avoided much of the European malaise and we have done very well in Asia with the exception of one year - 2011. If you recall, this was a year during which economic activity in that part of the world unexpectedly slowed and caught a lot of investors flat footed. The Hang Seng experienced steep mid-year declines which affected even our attractively valued positions. How heavily are you invested in China and what are your regional expectations for the Asian markets? At the moment, we have slightly less than 10% of the portfolio invested in China, mostly through companies that are traded on the Hong Kong Stock Exchange. Clear Media, is one of our holdings. They are based in Hong Kong and provide outdoor advertising opportunities in 30 key cities in China. They have a free cash flow yield of approximately 16% yet sell at a discount to comparable businesses located in markets with much less compelling growth prospects. We tend to view Asia as a 30 year opportunity, however, you have to pick your spots carefully and having the extra research help based in Hong Kong is most advantageous. What portion of your portfolio is invested with US versus foreign companies? We try to maintain a 50/50 split between U.S. and non-U.S. holdings. At the moment, approximately 46% of our equity holdings are in the United States. What size companies do you invest in? Each of our holdings has to be in a readily marketable security and our market cap range is typically $300 million - $250 billion with an average weighted market capitalization of approximately $32 billion. We pay a lot more attention to a company’s daily trading volume than market capitalization. How many positions do you hold and how do you diversify between them? We generally hold 25-30 positions. Our maximum weightings are 65% by country, 40% by sector, 30% for industry and 8% by company. Do you invest in fixed-income securities? No. There are too many higher return opportunities available to us in global equity markets. What defensive strategies do you use? Our insistence upon buying assets at deep discounts to intrinsic and/or private market value is our best defense against the pitfalls associated with equity investing. The extra level of global diversification also helps. Lastly, our sensitivity to valuation tends to preclude us from being fully invested at all times, plus we will let our cash position grow if we are taking profits and the market is correcting. This also dampens portfolio volatility. Tell us more about how the firm uses the same investment strategy as their clients for the bulk of their own and family's personal assets. We believe in our work and invest side-by-side with our clients, making sure that our interests are always in synch. Approximately 45% of the firm’s assets are affiliated with partner families, managed with the same strategy, oversight and fee schedule as non-affiliated clients. Who are the principals at KF& Co. and what are their backgrounds? We have 16 principals, the majority of which are members of our investment staff and have been with the firm and in the industry for a very long time. Where can I find more information about KF& Co.? For more information call Brendan Contant at 212-492-6164 or email him at Brendan.Contant@Klingenstein.com or visit our website at: www.Klingenstein.com. This reprint is provided for informational purposes only. All opinions and data included in this material are as of the date indicated and are subject to change. The opinions and views expressed are not intended to be relied upon as a factual prediction or forecast of actual future events or performance or a guarantee of future results or investment advice. The information contained should not be used as the sole basis to make any investment decisions. The data included in this document is based on the Klingenstein Fields Global Fund, L.P. (“KFGF, LP”). KFGF, LP has an annual 1.0% management fee paid quarterly; however, this fee was waived from inception through 3/31/13. Gross performance results shown do not reflect the deduction of investment management fees, which will reduce portfolio performance. As fees are deducted, the compounding effect will be to increase their impact by an amount directly related to gross portfolio performance. For example, on a portfolio with a 1.0% annual fee deducted quarterly, if gross annual performance is 10.0%, the compounding effect of the fees over one year will result in net annual performance of 8.9%. Both gross and net returns include the reinvestment of dividends and other earnings, and exclude fund specific expenses (accounting, administration, legal, etc.) that would not have been paid by separate account investors. Actual fees and individual results may vary. Separately managed accounts utilizing the Global Value Strategy are managed by Klingenstein, Fields & Co., LLC, an SEC registered investment adviser. The separately managed account fees are based on the market value of assets under management. The schedule is as follows: 1.0% on the first $10 million, 0.75% on the next $10 million; 0.60% on the next $10 million; 0.40% on the next $70 million; and 0.30% on all assets above $100 million. For additional details and terms, please request a copy of the adviser’s Form ADV. The information provided should not be considered a recommendation to purchase or sell any particular security. There is no assurance that any of the investments discussed herein will remain in the portfolio or that information provided herein will remain the same. The investments discussed do not represent all of the investments purchased, sold, or held. It should not be assumed that investments identified were or will be profitable. The Quartile Ranking Bar is provided by PSN-Effron Enterprises, Inc. and is based on quarterly gross return data. It is used to rank the performance of PSN managers and market indexes against a universe. The range of returns/other modern portfolio characteristics in the universe are represented by floating bars. Each bar is broken up into 4 quartiles. The upper quartile represents the top 25% of the managers in the particular universe for the particular time period. The managers, indexes and portfolios are plotted relative to the floating bars. The PSN Global Equity Universe which is utilized for the Quartile Ranking Bar includes all equity products that are not constrained by any geographic regions. The MSCI World Value Index captures large and mid cap securities exhibiting overall value style characteristics across 24 Developed Markets countries. The value investment style characteristics for index construction are defined using three variables: book value to price, 12-month forward earnings to price and dividend yield. With 827 constituents, the index targets 50% coverage of the free float-adjusted market capitalization of the MSCI World Index. The index includes the reinvestment of dividends and other earnings. An index is generally used as a proxy for the market performance of the specific asset class it represents. Indexes are unmanaged and their returns do not include any fees and expenses. An investor cannot invest directly in an index. Such indexes will have different levels of volatility than the actual investment portfolio. Klingenstein, Fields & Co., L.L.C. claims compliance with the Global Investment Performance Standards (GIPS®) and has prepared and presented this report in compliance with the GIPS standards. Klingenstein, Fields & Co., L.L.C.’s GIPS composites have been independently verified for the periods January 1, 1999 through December 31, 2012. Please contact us for a copy of the full presentation and visit our website: www.klingenstein.com or www.adviserinfo.sec.gov for more information on our firm.